- Cow Bridge Car Park - Brothers Water - Hartsop - Hartsop Dodd - Caudale Moor - Stony Cove Pike (Caudale Moor) - Caudale Head - Pike How - St Raven's Edge - The Kirkstone Pass - Red Screes - Smallthwaite Band - Middle Dodd - Scandale Pass - Little Hart Crag - High Hartsop Dodd - Little Hart Crag - Scandale Head - Dove Crag - Hart Crag - Blake Brow - Hartsop Above How - Hoggill Brow - Gale Crag - Bleaberry Knott - Cockley How - Cow Bridge. 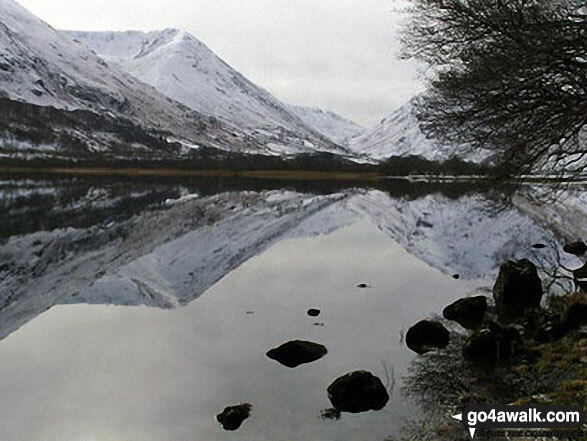 The highest point of this walk is Hart Crag at 822m (2698ft). Hart Crag is classified as an English Mountain (Hewitt) (33rd highest in England, 63rd highest in England & Wales) and a Wainwright (No. 27). Hart Crag is also known as an English Nuttall (40th in England, 75th in England & Wales). 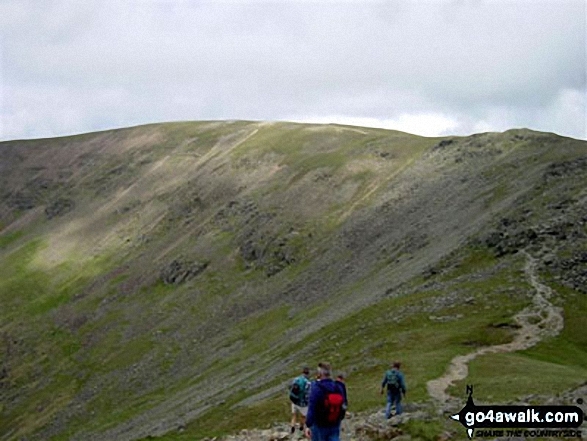 Completing this walk also take you to the top of Dove Crag, 792m (2599ft). Dove Crag is classified as an English Mountain (Hewitt) (47th highest in England, 86th highest in England & Wales) and a Wainwright (No. 38). 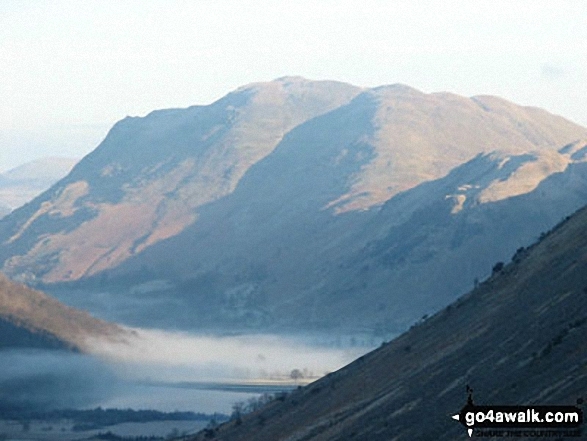 Dove Crag is also known as an English Nuttall (56th in England, 104th in England & Wales). 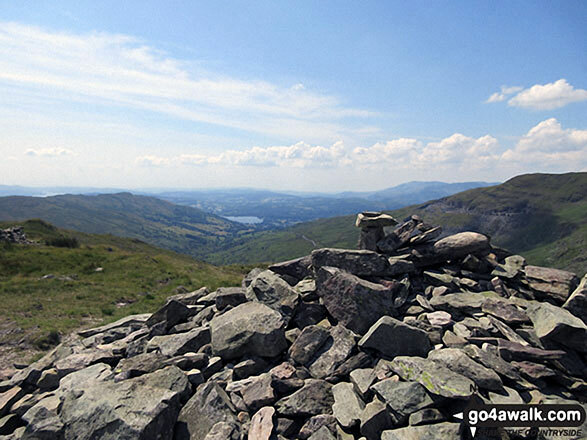 You will also reach the summit of Red Screes, 776m (2547ft). Red Screes is classified as an English Mountain (Hewitt) (56th highest in England, 99th highest in England & Wales) and a Wainwright (No. 49). 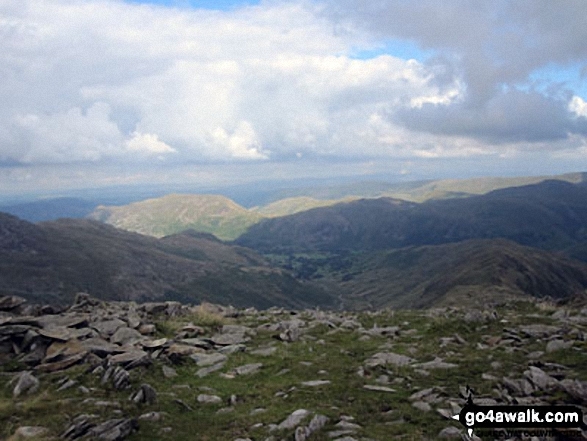 Red Screes is also known as an English Nuttall (68th in England, 120th in England & Wales). 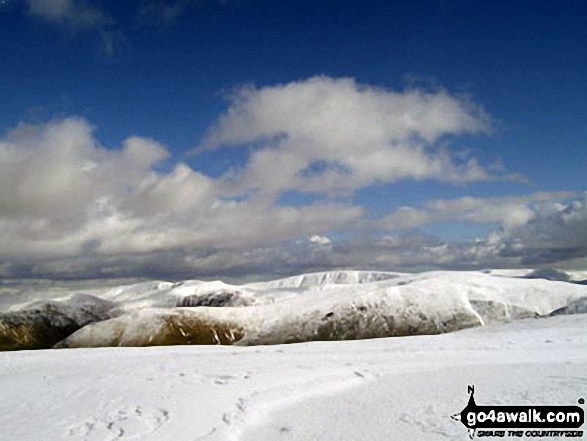 Red Screes is classified as a Marilyn (18th highest in England, 433rd highest in the UK). 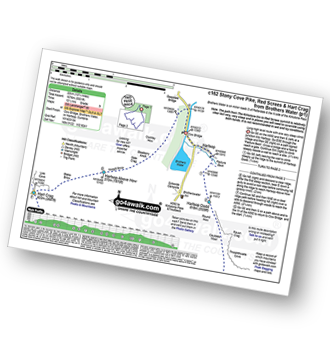 Along the way you will also bag Stony Cove Pike (Caudale Moor), 763m (2504ft) In Alfred Wainwright's 'Book Two - The Far Eastern Fells' the chapter for Stony Cove Pike (Caudale Moor) is entitled simply 'Caudale Moor'. - an English Mountain (Hewitt) (63rd Eng, 108th in Eng & Wal), a Wainwright (No. 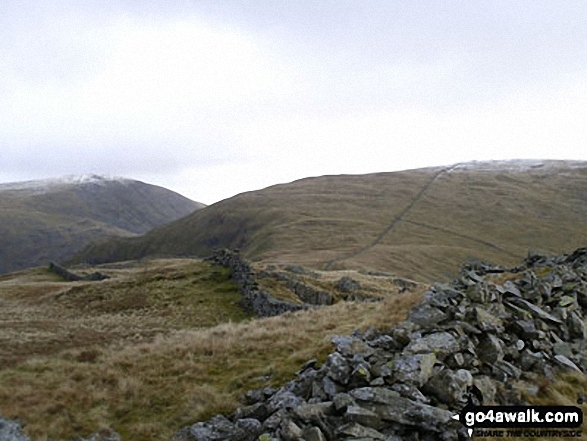 55), an English Nuttall (77th Eng, 131st in England & Wales); Middle Dodd 654m (2146ft) - a Wainwright (No. 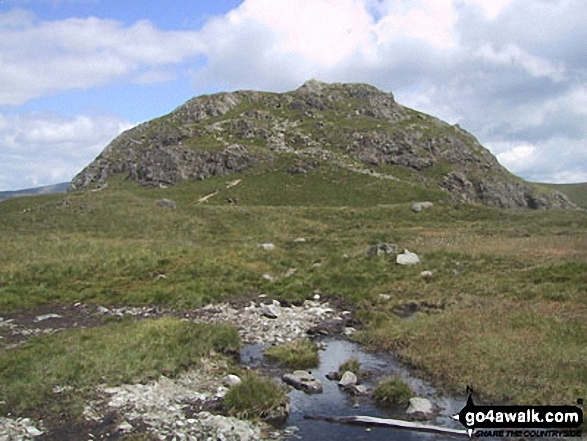 111); Little Hart Crag 637m (2091ft) - an English Mountain (Hewitt) (154th Eng, 264th in England & Wales), a Wainwright (No. 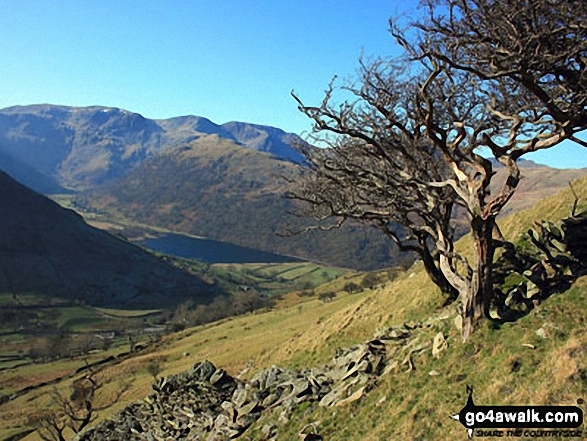 119) and an English Nuttall (206th Eng, 356th Eng & Wal); Hartsop Dodd 618m (2028ft) - a Wainwright (No. 126) and an English Nuttall (240th Eng, 417th Eng & Wal); St Raven's Edge 593m (1946ft) - an English Dewey (17th in Eng, 42nd Eng & Wal); St Raven's Edge 593m (1946ft) - an English Dewey (17th in Eng, 42nd Eng & Wal); St Raven's Edge 593m (1946ft) - an English Dewey (17th in Eng, 42nd Eng & Wal); Hartsop Above How 570m (1871ft) - a Wainwright (No. 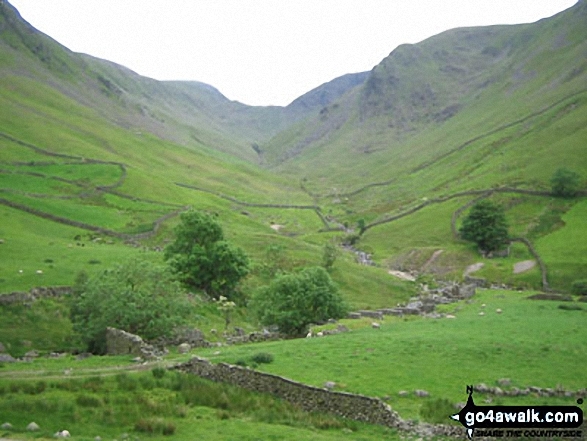 141) and High Hartsop Dodd 519m (1703ft) - a Wainwright (No. 165).